I hope everyone is having a great start to their school year! I always seem to forget how exhausting it is! #backtoschooltired I wanted to drop in to share one of my favorite activities we did in second grade for reading. Hang with me first and third grade teachers! 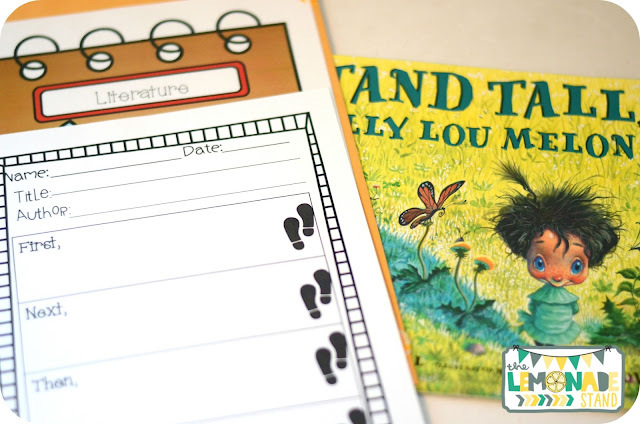 This can be adapted for your classroom, too! I wanted to get my students excited about citing evidence from the text, since that is the big push these days in reading. 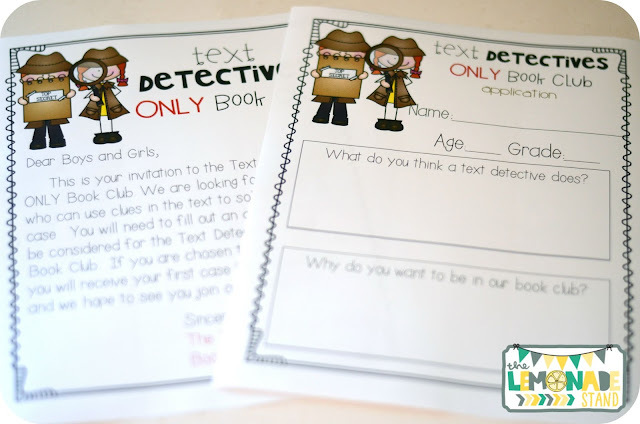 I am constantly looking for ways to get my littles engaged in their learning and using the detective theme throughout the year helped me accomplish just that! I like to start the second week of school by introducing my Text Detectives Only! Book Club. 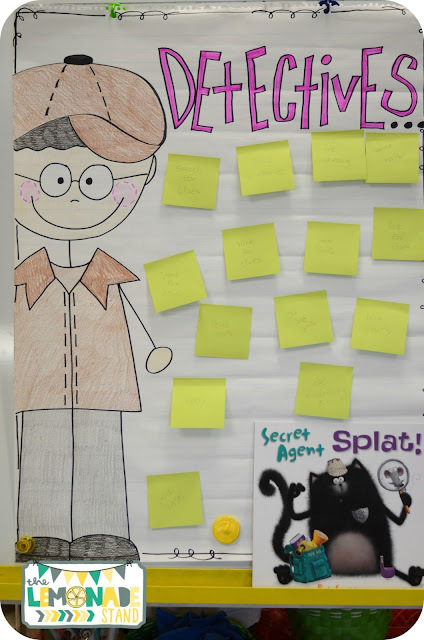 We start out by reading Secret Agent Splat, since we read Back to School Splat the week before, so they are familiar with that cute little cat. Then, we make an anchor chart together as a class. Each student writes one thing they think a detective does on a post-it note and I add it to the anchor chart. I then tell the students that I received a letter in our classroom mailbox that was addressed to our class. It's an invitation to the Text Detectives Only Book Club. I read the letter to them and give them the applications that were enclosed with the letter. They each fill out an application to the book club. This gives them such ownership to the future activities we will be completing related to the book club. 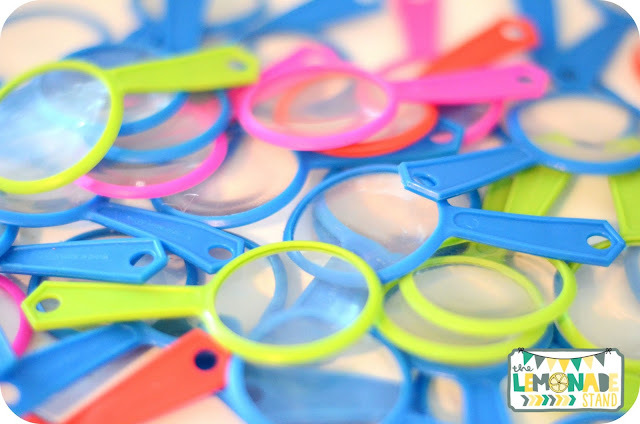 Detectives need tools, so I ordered some fun magnifying glasses from Amazon Prime. They were just the right size and a lot come in the pack! Look at the fun colors! You can find them by clicking on the pic below. 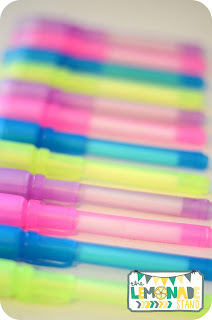 I also ordered these cool invisible pens that include a black light for them to highlight text evidence in passages or just to right secret messages related to their case. They're so fun! The link to the pens are in the pics below. Isn't Prime great? I probably should be banned from it! I got these name badge holders, too, from there. I use them for everything. 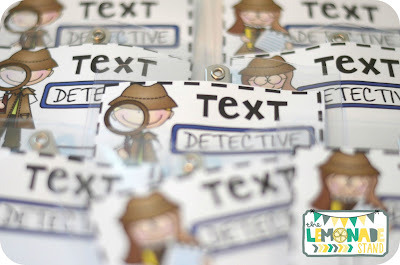 When we are text detectives, I place these little detective name badges in them for students to wear. These are some other fun detective themed books you can find on Amazon. I like to choose one a day to read aloud and we complete one of the graphic organizers from the pack to get students used to recording on the graphic organizers. 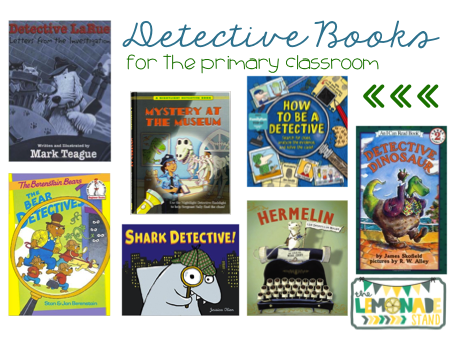 It also gives them more background knowledge on the job of a detective. 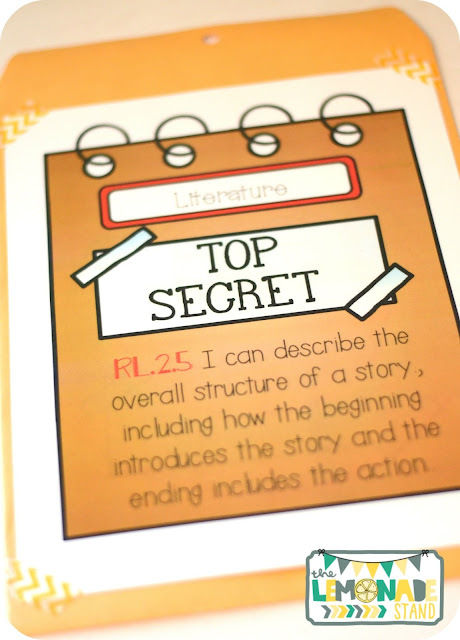 I have made a "Case File" for each Literature and Informational Text Common Core Standard. I attach the case cover to a large manilla envelope. I then laminate it for durability. If you plan on doing this whole group, you will only need one case for each standard. 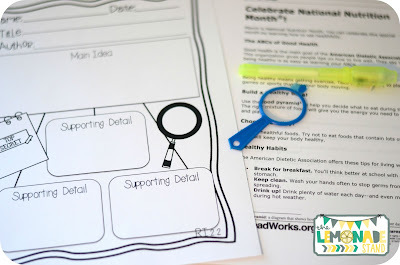 If you plan on using this for small groups, you will want to make enough for each group. 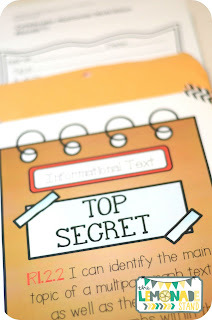 In each case file, I put graphic organizers for each student related to that standard. I always keep one in there throughout the year, so I can just pull that case and copy that organizer. It helps me stay organized. I may put a book in that case file we are using for our read aloud. I mostly do this at the beginning of introducing a comprehension standard, because I feel it's important to model it together. Once they get comfortable with a standard, I will give each group a different case with different books or passages and rotate them during the unit. I also like to switch it up and include passages rather than actual books. 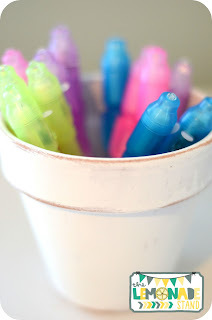 They can use the invisible pens to highlight the text or a highlighter. I believe it's important to use the same graphic organizers throughout the year for each standard. 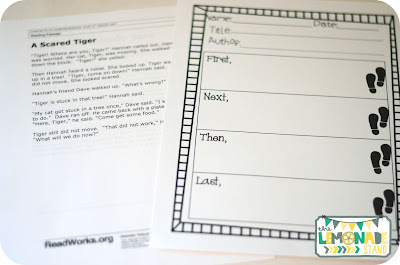 They become automatic with students and they will start visualizing them while reading and even in their writing. At the end of the week or unit, we celebrate solving our cases by meeting in books clubs. I assign groups and each group will discuss their core read aloud from the week or whatever book or passage you wish. I like to use cold reads sometimes just for a quick assessment to see if they really got the skill. You might want them to discuss their reading story before a comprehension test. 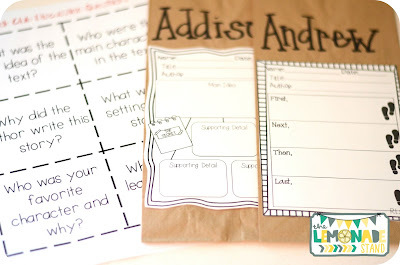 Each group member will fill out a mini graphic organizer over the story or passage and then paste it to a small brown paper bag. You can then fill the bag with popcorn or another easy snack. Each group is assigned a leader who gets the book club discussion going. 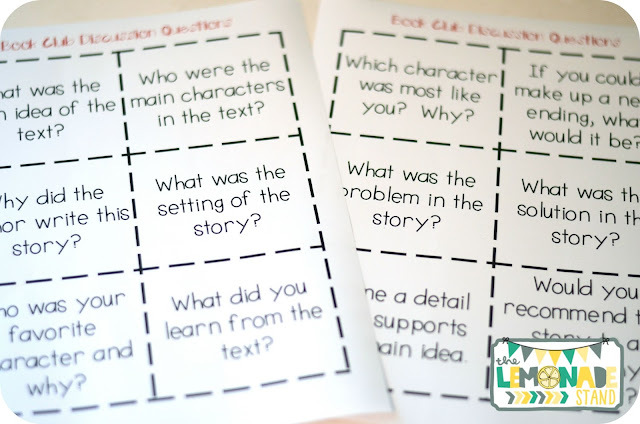 They discuss their graphic organizers, as well as go through the book club discussion cards. 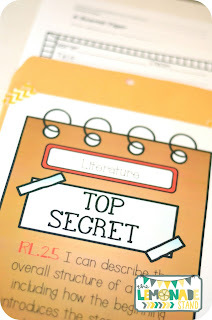 I usually laminate and add them to a binder ring. It's been a great resource for getting students in the habit of citing text that supports their answers. And it makes it not seem like so much of a chore to them. I would have students begging me for their next case! I also loved that the discussions during book clubs really helped build their speaking and listening skills. The discussion cards really helped keep them focused. 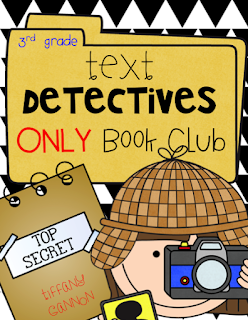 Since the second grade resources were so popular, I decided to create Text Detectives Only Book Club packs for first and third grade, too. 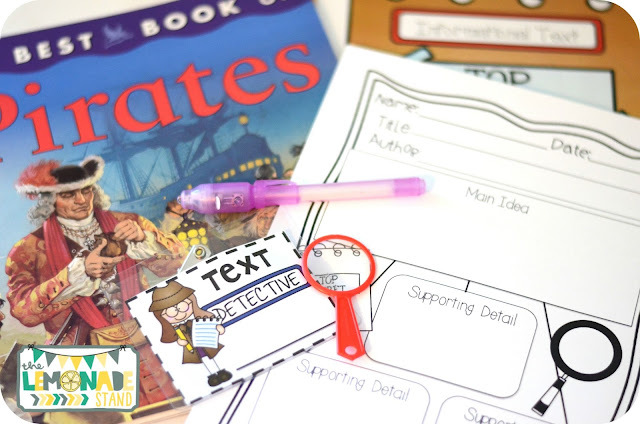 Each pack includes all of the same detective resources and graphic organizers and case files to match your standards. It's Sunday afternoon and time to take a nap! Have a great rest of your weekend!